Happy autumn and greetings to all members and friends of the Historical Justice and Memory Network! We are now in our third year of publishing working papers by emerging scholars and practitioners in the fields of historical dialogue, historical and transitional justice, and public and social memory. We are launching our 2015-2016 series of working papers with Gonca Sönmez-Poole’s “My Rude Awakening.” Sönmez-Poole’s paper makes for an engaging read: it’s a unique blend of autobiography, theorizing, and historical account–we’re thrilled to publish it in our series! Please do check out the paper and add your informal comments, thoughts, reflections, and connections. And we’re always taking submissions to feature in this series. It’s an opportunity to receive interdisciplinary feedback on your ideas and writing (here’s more information on submissions). We encourage you to send questions and Working Paper submissions to co-editors Michelle Bellino and Cathlin Goulding at dialogues@columbia.edu. Part memoir and part reportage, this working paper is the personal story of one ethnically Turkish woman as she explores the historically contentious and complicated subject of the Armenian Genocide. Weaving together her own personal memoirs, along with the interviews she has held with members of a Turkish-Armenian dialogue group she founded, the writer attempts to give an honest account of her own personal journey into the subject. By going beyond what has been widely discussed within the diplomatic, political and academic circles, the author attempts to show how a Turkish individual can be re-educated and subsequently be expected to make a deliberate and definite decision about the Armenian Genocide, the kind of experience and decision that has eluded millions of Turkish people for an entire century. Gonca Sönmez-Poole is an American citizen of Turkish descent who has been a member of the Boston media community for the past 28 years, producing stories for the nationally acclaimed Chronicle news magazine at WCVB-TV in Massachusetts. After more than a decade of full-time TV work, she branched out into international affairs through her studies at the Fletcher School of Law & Diplomacy at Tufts University. Since earning her master’s degree, Sönmez-Poole has worked in television both within the United States and internationally, tackling issues pertinent to minority communities on both the local and national levels. She founded and led a small 501 © 3 nonprofit, Mediation Way, Inc., between 1999 and 2012. For the past eight years, she has been volunteering for a number of dialogue efforts within the Turkish and Armenian communities in and around Boston, and writing about the subject of the Armenian Genocide. Sönmez-Poole is the founder of TAWA (The Turkish-Armenian Women’s Alliance), a Boston-based, and all volunteer/grassroots movement. 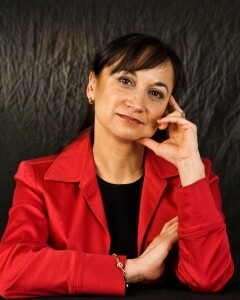 Sönmez-Poole holds a BA in mass communication from Emerson College, an MS in broadcasting and film from Boston University, and a mid-career MA from the Fletcher School of Law & Diplomacy, where she studied international human rights, minorities, and methods in mediation and conflict resolution.